Looking for some decks to beat the Duel Stars Challenge? Well, you have come to the right place. This guide will guide you through the different decks, rules methods to be used to able to complete the new replay feature of Yu-Gi-Oh! BAM. 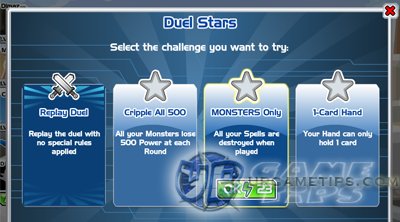 To access the Duel Stars Challenge, just enter an already completed Challenge or Duel Node. Refer below for more information. For starters, it is recommended to gain more cards first by focusing more on the story mode. Get the "Mirror Force" card from Chapter 19 and the "White Hole" card from Chapter 23. This will give you a wider range of cards for the Duel Star Challenges. Cards and Duel Points as rewards! This is a great opportunity to broaden your card pool. - 1 Card Hand = Your hand can only hold 1 card. - 2 Card Hand = Your Hand can only hold 2 cards. - Deck x2 = The opponent has 2 times his deck. - Deck x3 = The opponent has 3 times his deck. - Hurt = You lose a number of life at each round. - Cripple All = All your Monsters lose a number of Power at each Round. - Heal = The opponent gains a number of Life Points at each Round. 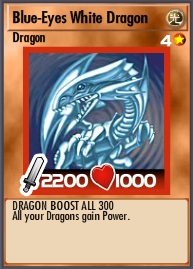 - Boost All = All the Opponent's Monsters gains a number Power at each Round. - Life Points = You start the Duel with a number of Life Points. - Fragile = All your Monsters are Fragile. - Self-Destruct = All your Monsters Self-Destruct at Round End. 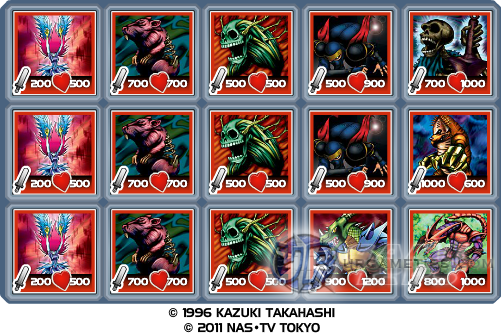 - For Life Points rule, I recommend the Empathy Deck or any healing deck. spell cards. Build up your monster's Power to deal great damages. - The Empathy Deck is also a great deck that can handle Waboku's Backfire effect. 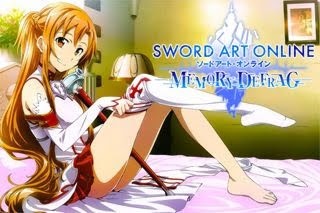 - Shared Fate and Requiem Decks are also possible. for at least 10,000 to 12,000 Life Points. Preferably with helpful effects and can battle or survive alone. - Add spell cards like Mirror Force, Just Desserts, or any spell cards that you want. - I recommend to finish this last until you get those powerful cards (get 500 Duel Stars first). - You only have 1 shot per Round, so make it count! with at least 1200 Power (preferably with good effects). "Temple of Skulls" cards, Drain Decks and more! monster Sneak and Shared Fate deck. Use example or similar cards like the one below. monster Requiem and Shared Fate deck for this. Use example or similar cards like the one below. 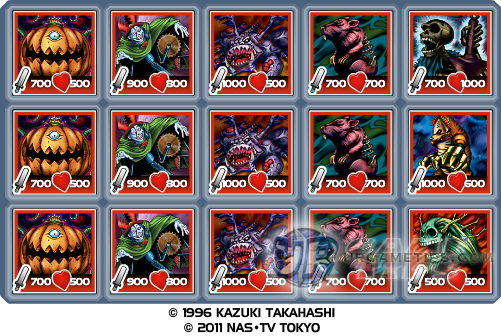 place any monster card below them. Concentrate on the other two nodes instead. This will greatly conserve your monsters and will give you more cards to use in the end. NOTE: Use Side Deck Cards! - Example: "Exile of the Wicked" spell card annihilates or destroys all Fiends! (Chapter 24). - Except Monsters Only and Spells Only. Duel Points. So, how are we going to beat all the Specified Type Decks around? Cards from rewards that can beat all specified type decks! Curious? Check the link below to learn more! Beat all Type Decks Using a Single Deck! - Hint: "Make the Rules Work for You!"